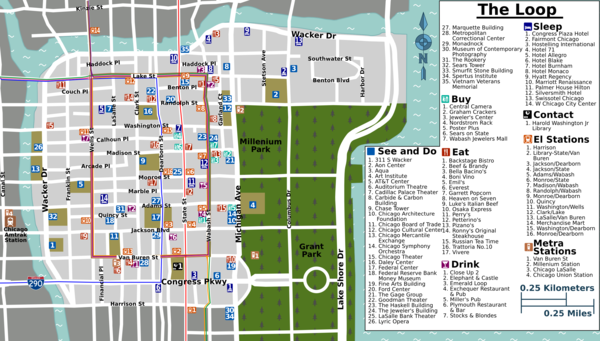 The Loop is one of the three downtown community areas in Chicago, bounded by the Chicago River to the north and west, Harrison Street to the south, and Lake Michigan to the east. 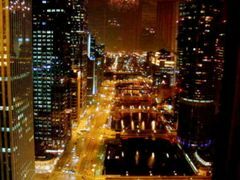 It contains the tallest members of Chicago's skyline and much of the city's finest architecture, holding within them much of the city's working stiffs; for visitors, it also has the glitzy downtown theater district, and the biggest annual music festivals. 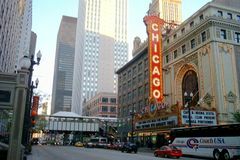 From the suburbs, Metra commuter trains arrive at Union Station (Canal St and Jackson Blvd), Ogilvie/Northwestern Station (Canal St and Madison St), and Millennium Station (Michigan Ave between South Water St and Randolph St), all of which are within easy walking distance of the Loop and the CTA elevated lines. From beyond the suburbs, Amtrak connections arrive at Union Station. 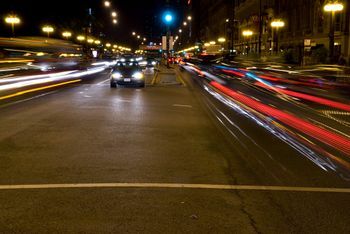 If you do come by car, there are four underground parking garages near Grant Park and Millennium Park. 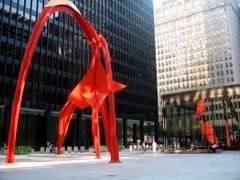 Rates vary by garage and are more expensive for special events, but the East Monroe garage (near Millennium Park) is the cheapest ($13 up to 12 hours, $16 12-24 hours). 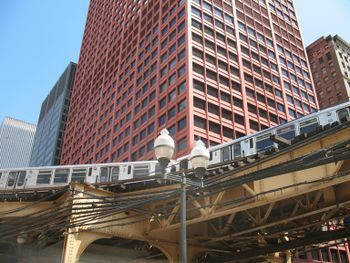 Although they're across the river and technically in the West Loop, Union Station and Ogilvie/Northwestern Station are very much a part of the daily commute in the Loop. 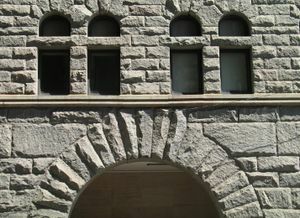 Union Station (1925) is a classical behemoth, lined with marble colonnades, and beautifully efficient on the inside. 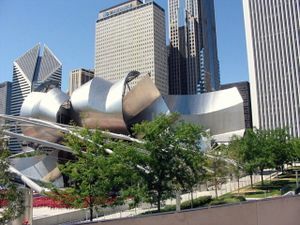 Ogilvie (1987), designed by Helmut Jahn, is tidy and efficient on the inside as well, with waterfalls of blue steel on the outside. If you'd like to compare a third era of Chicago transit, head over to the Near South and check out Dearborn Station (1885), which no longer serves trains. 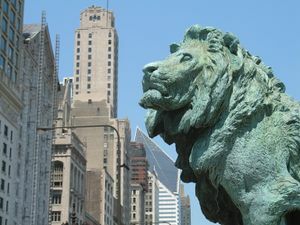 Take the Metra Electric Line south from Millennium Park to spend half a day visiting the excellent museums or visiting the University of Chicago and the local independent bookstores in Hyde Park. This page was last edited on 18 May 2018, at 14:27.